Citigroup's earnings took a hit in the second quarter, but investors welcomed news that the bank has resolved a federal probe into its past mortgage practices. The bank booked a $3.8 billion charge in the second quarter related to a $7 billion settlement it announced Monday with the Department of Justice. Citi said earnings plunged more than 95% to just 3 cents per share in the second quarter after factoring in the charge and losses on certain credit derivatives. But earnings and revenue topped analysts' expectations after excluding those one-time items. Investors cheered the results, sending Citigroup (C) shares up more than 3%. Despite the bounce, the stock is still down about 6% this year. 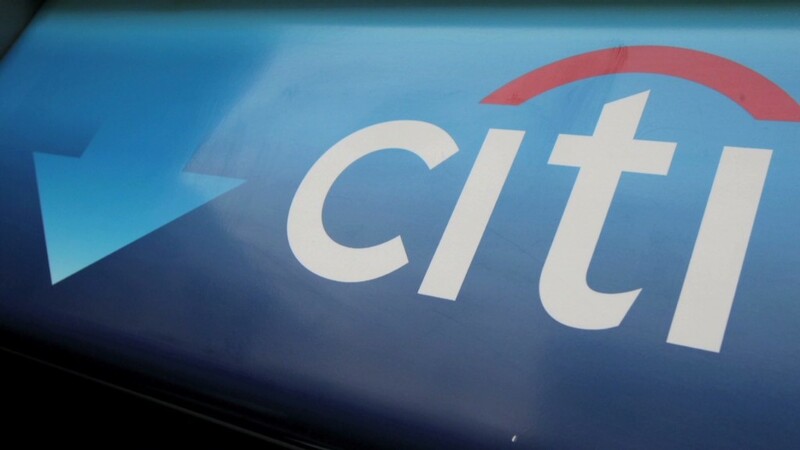 Citi has been under pressure as it investigates allegations of money laundering in its Mexican subsidiary. It was also one of the few big banks to have its plan to return capital to shareholders rejected by the Federal Reserve following the latest round of stress tests in March. CEO Corbat sees better times ahead: Citi said revenue in the second quarter fell from last year's levels due largely to weakness in its trading division and declining mortgage refinancing activity. But revenue from Citi Holdings, which contains businesses and assets that the bank is winding down, surged 33%. Consumer and corporate lending was also a bright spot in the quarter. "I feel good about how we're positioned and believe we should see an improved revenue picture," Citi CEO Michael Corbat told analysts during a conference call. Corbat expects the economy to improve as consumer spending picks up. While trading has been weak, he said investment banking is "showing momentum." Looking ahead, Corbat said Citi's trading business will continue to reflect the recent lull in market volatility. But he added that market conditions in the second half of the year should be "somewhat more favorable." Related: Will the earnings express lift Dow above 17K? Investors and analysts focused on the positives. Andrew Marquardt, an analyst at Evercore, wrote in a note to clients that the results showed "good underlying performance." Legal risks mostly behind Citi now: The latest settlement resolves claims that Citi sold risky mortgage securities during the housing bubble while misrepresenting their quality. These securities later failed in huge numbers, playing a key role in the 2008 credit crisis. Corbat said the settlement resolves all pending civil obligations and most of the issues stemming from Citi's sale of bad mortgage-backed securities. "We believe that this settlement is in the best interest of shareholders and allows us to focus on the future of the business," he said. Yet there are still questions about Citi's exposure to investigations into the manipulation of Libor, a key lending rate, and the foreign exchange market. Citi joins a growing number of mega-banks that have reached huge settlements in recent months tied to the housing crisis. 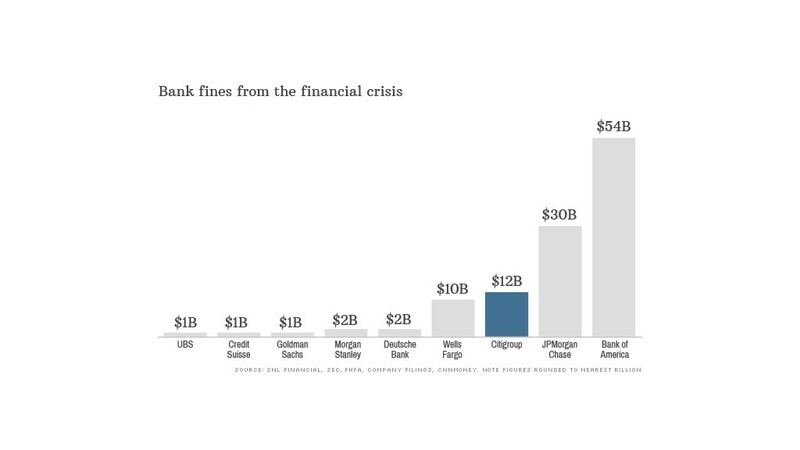 JPMorgan Chase (JPM) agreed to pay $13 billion to settle similar charges last November, in an agreement officials said was the largest settlement with a single entity in American history. Bank of America (BAC) reached a $9.5 billion settlement in March with the regulator of government-controlled mortgage lenders Fannie Mae and Freddie Mac. Those two banks will report their second-quarter earnings later this week.